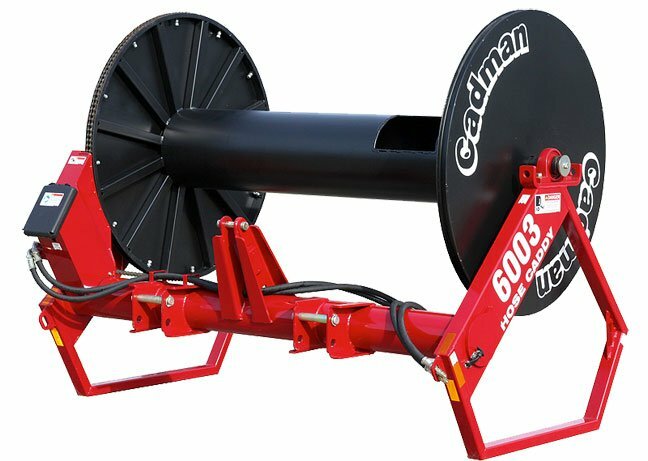 Cadman’s 6003 model has a solid structure and can support up to three 660’ (201.16 m) long hoses with a 6” (15.24 cm) diameter, to unroll close to 2000’ of hose. The spool consists of a positive traction chain drive and hydraulic hose retrieval. This model also has a few storage compartments for small tools.